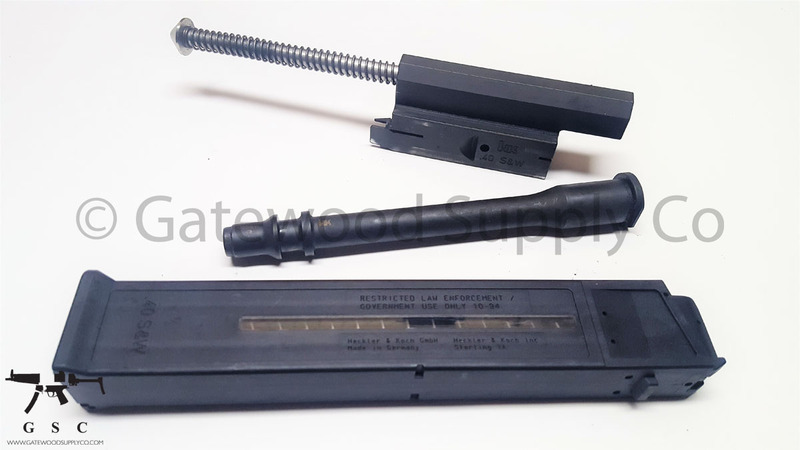 This listing is for a factory German HK UMP .40 conversion kit. This caliber swap kit includes a UMP .40 barrel, complete bolt carrier group, recoil assembly, and one 30-round magazine. This kit has everything you need for converting your UMP to .40 caliber. This unit is compatible with the HK UMP-9, UMP-40, UMP-45, and Omega's Gideon Shadow. These parts will not fit in a USC.